Tomorrow night, the Cats will face both the SEC Player of the Week and the SEC Freshman of the Week. 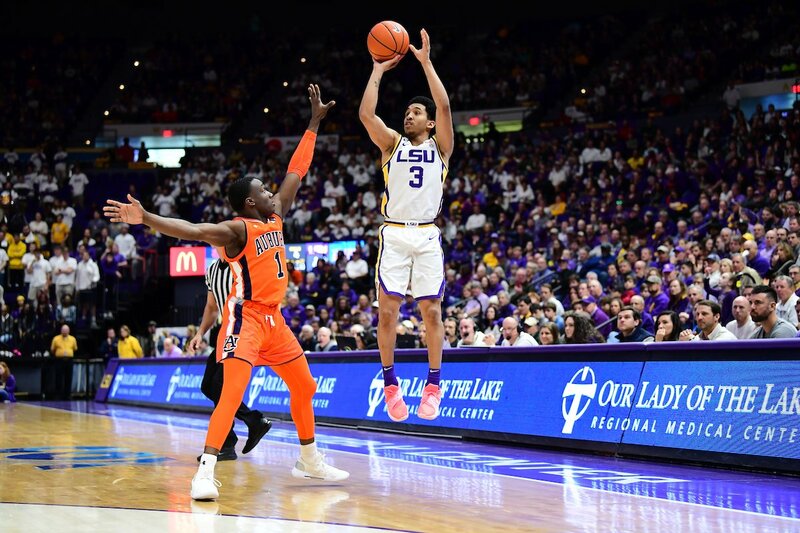 LSU swept the conference’s weekly honors this week, with Tremont Waters winning Player of the Week and Naz Reid bringing home Freshman of the Week. Waters averaged 22.5 points, 7.5 assists, 5 steals, and 3.5 rebounds in LSU’s wins vs. Mississippi State and Auburn last week, while Reid averaged 21 points and 10 rebounds. Both had double doubles vs. Auburn. Tremont Waters vs. Ashton Hagans could be epic. Buckle up. Big game and LSU is very good. We need to win this one to send the hype straight to Saturday’s game with UT. Make no mistake about it. UK is maybe one place higher in the polls due to the Saturday matchup. This LSU game is more than a trap. It should almost be one that is circled on UK’s players’ calendars. Hagans needs to be his UNC/UGA self, not the one who showed up to the last three games. All four bigs gotta bring it. C-A-T-S, CATS, CATS, CATS! Beat Tigers! These are the two we will need to control. I think we can get Reid into foul trouble, but my god what a specimen he is….He reminded me of Shawn camp as a high school senior. Water is on the other hand is a serious problem. There is no one that can control that guy when he is locked in, we just have to hope that he is having an off night.